Did you know wour gutters’ performance is not solely reliant on their material and shape. If you did we’d be surprised! 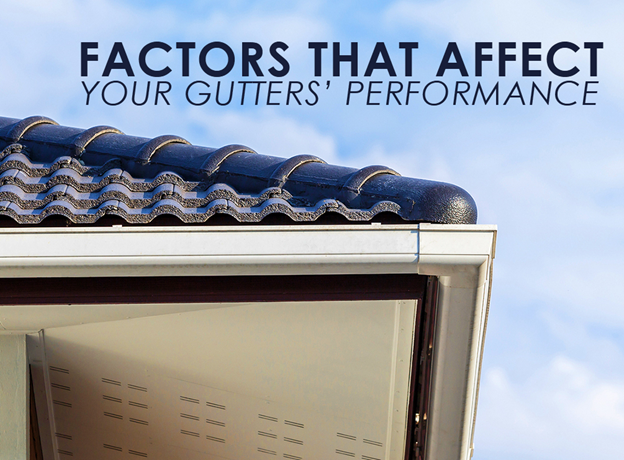 There are many factors that affect your gutter and downspout performance. Nelson Contracting, the premier expert in seamless gutters in Lincoln, NE, discusses some these factors below. This refers to the sum of the areas of each of your roof’s surface. The bigger the available space, the higher the amount of water it can handle. Not all roofs are created equal! This will also determine the amount of rainwater it can collect. The rainwater should then be redirected to your gutters. If you have a flat roof, different gutter systems are used. The standard gutter pitch is a quarter-inch drop for every 10 feet. This size ensures continuous water flow, provided no other factors are involved. This may change to allow your gutter to collect more rainwater. Each gutter material has its specific advantages. For instance, we offer seamless aluminum gutters that will not leak, while ensuring smooth water flow for a long period. They are also resistant to rusting, making them a low-maintenance option. With our years of experience, you can expect lasting and optimal performance. Couple this with the ease of installation of our gutter system and you can be sure of a stress-free process. Debris can clog and damage your gutter system, rendering it inefficient. You can rely on us to provide an efficient gutter repair in Lincoln, NE. This will help extend its lifespan, allowing for long-lasting and reliable performance. A key factor to a gutter system’s performance is the quality of its installation. It is essential to hire the right people to install them. You can count on us to install your gutters flawlessly to ensure its long service life. Our years of experience mean we can recommend if seamless aluminum gutters are what your home needs. Expect Nelson Contracting to install the perfect gutter system for your home with these considerations in mind. Call us today at (402) 374-4233 for all your gutter installation concerns.